It's always a good thing when a production car sticks close to the design of an attractive concept. In the case of the 2015 Mazda2, I'm pleased to say it looks quite a bit like the lovely Mazda Hazumi Concept from the Geneva show earlier this year. The first known live shots of the all-new Mazda2, or Mazda Demio as it's known in Japan, showed up this morning on Carscoops. I'm amazed at how faithful it stayed to its concept car. Even the interior kind of follows the same theme. It takes a lot of the cues of the Mazda3 and puts them into a smaller package. 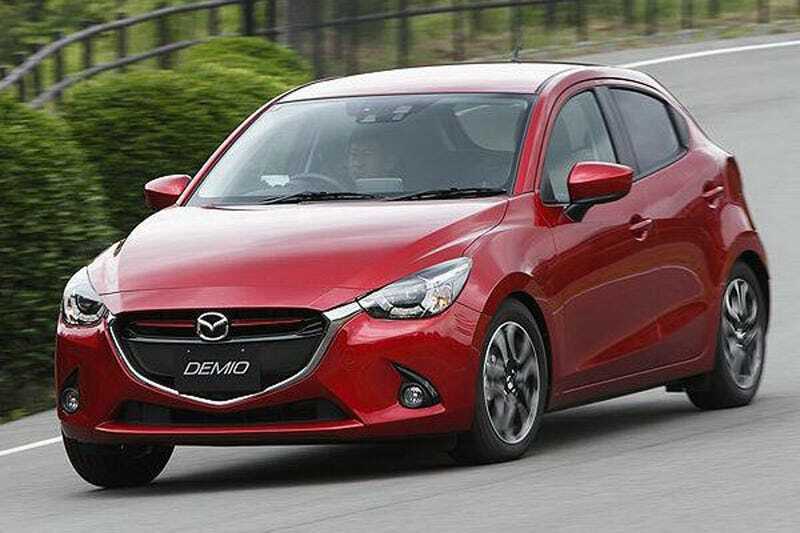 The Mazda2 has always been a fun little hatchback, and this one looks to be even better. No details on what motors it will get, or which ones will come to the U.S., but we expect a variety of small gasoline and diesel SkyActiv engines. We've also heard the next-generation Toyota Yaris will use this Mazda2's platform as well, because Toyota has been in the habit of borrowing kits from more fun companies like Subaru and eventually BMW as of late. That won't be a bad thing at all.